Use the Board View to manage items in a visual way. What is the Board View? The board view provides a visual, interactive display of items. It is divided into lifecycle phases. Items are displayed as individual cards, which you progress through the phases until completion. The board view is available for epics, features, backlog items, tasks, and requirements. The Story Board is a board view that displays your team's backlog lifecycle. It displays work items according to context, meaning a specific release, sprint (in case of Scrum), and team. The board displays the four metaphases: New, In Progress, In Testing and Done. New merges the New columns for user stories, defects, and quality stories. 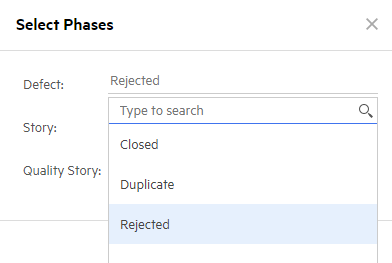 In progress merges the Opened column for defects and the In Progress columns for user stories and quality stories. 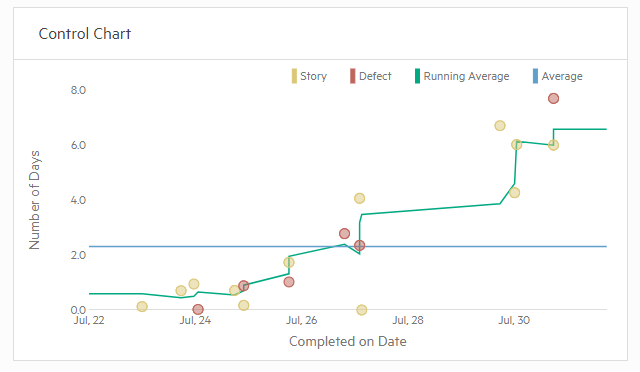 In Testing merges the Fixed column for defects and the In Testing for user stories and quality stories. Done merges the Closed column for defects and the Done column for user stories and quality stories. You can divide into additional phases to reflect your team's workflow. The board supports both Kanban and Scrum methodologies. The Story Board can be accessed from The Team Backlog in the main menu, or by clicking the Board View button in the Backlog Items tab. You can customize the display to include more columns representing more phases, to merge phases for different item types, rename a column, and hide a column. You can also set the Work in Progress (WIP) limit and the card time limit, as described in Set Story Board workflow rules. Note: You need to be a team member and the Customize Story Board permission to perform the following customizations. Right-click the column of the phase you want to merge, and then click Edit. In the Select Phases dialog box, select the phases for the relevant item types, and then click OK. If required, click on the column name to rename it. Right-click the column header of the metaphase in which you want split a phase, and then click Edit. In the Select Phases dialog box, for a specific item type, clear the phase field that you want to display as a separate lane, and then click OK.
A new lane is added for the phase that you cleared. Hover over the column header to see the workflow phases for that specific column. The column name is a duplication of the existing column. Click on the column name to rename it. Right-click the column that you want to hide, and then click Hide. To restore the column, in the toolbar, click the Choose Columns button, and select the column. A per-team limit for the number of items allowed (WIP) in each metaphase and phase. Each team can have different limits for each metaphase and phase. A per phase limit on the cycle time for an item in each phase. The cycle time is the time spent working on an item. This is the time take from when work begins on an item to when you complete it. ALM Octane measures the cycle time as the number of days in which the item is in the In Progress or In Testing phases. At the top of the Team Backlog module, select a release and team from the drop-down lists. In the displayed tooltip, click the infinity symbol in the relevant field and enter a new limit. Hover over the alert to see the details. Note: This widget is per release and sprint, not per team. Use the Board View to add items as in any other ALM Octane view. In the toolbar, click the down arrow next to the + and select the type of item to add. In the main Backlog module window, drag an item to a release bucket or sprint bucket (if necessary). In the Details tab of an item, assign the item to a release and/or sprint. Hover on a column in the Board View and click the Add + button. Select the item to add (defect, user story, or quality story), and name. To continue editing details for an item, click the entity link. If you want to rank these items, drag and drop items within any column to set the rank. As you move the items, ALM Octane adds or updates the number to reflect the item rank.